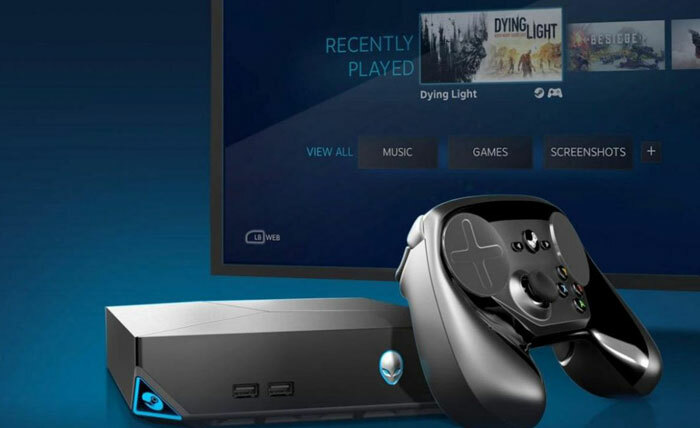 There are signs that Valve is working on some Steam Machine compatibility tools to enable owners to play some Windows games on these Linux-based SteamOS systems. Steam Machines haven't been a rip-roaring success and it is more likely to do with the software support rather than any hardware deficiencies. Yesterday Reddit users unearthed evidence of SteamOS developers preparing to use WINE technology to enable some PC games to play on Steam Machines. Clues came from some code, hosted on GitHub, describing the Steam Play system. The 2-days-old code reveals various references to 'Steam Play', 'compatibility tools', 'other operating systems', and similar hints. "Steam_Settings_Compat_Info": "Steam Play will automatically install compatibility tools that allow you to play games from your library that were built for other operating systems." "Steam_Settings_Compat_Enable": "Enable Steam Play for supported titles"
"Steam_Settings_Compat_Forced_Info": "You can use Steam Play to test games in your library that have not been verified with a supported compatibility tool." "Steam_Settings_Compat_Forced_Enable": "Enable Steam Play for all titles"
"Steam_Settings_Compat_Advanced_Info": "You may select a compatibility tool to use with games that have not been tested or verified to work on this platform.\n\nThis may not work as expected, and can cause issues with your games, including crashes and breaking save games." Picking through the above text strings you can see that there will be a base selection of 'supported titles' when and if this Steam Play feature launches. Valve will make the expansion of your playable Steam library seamless by automatically installing 'compatibility tools' for games that are only available on other OSes. Furthermore, you will be able to tweak and test unsupported titles on SteamOS, after accepting that you might face crashes or save-game corruption. The Reddit users implied that the Windows-only Steam games could run via WINE, but DOSBox is another possibility for old titles. We can't be sure that this compatibility feature will ever make it to SteamOS as it might only be for testing and, depending how it goes, might not make it out of the other end. Remember emulation tools aren't usually going to run games as fast as the native OS/hardware could. I'm not familiar with WINE and its capabilities but you can read more about the latest releases via the linked homepage. Valve still piddling time and money down the drain on tech no-one wants while HL3 remains unborn. Thought the steam machine was long forgotten! Sounds like an automated (to the end user,) version of WINE wrapped around the executable. Hopefully it'll work on other Linux distros too. If there will be a HL3, it will not be made by Valve, and it will not be as good as you want it to be. FYI WINE literally means Wine Is Not an Emulator. All it does is provide an exe and dll loader, along with re-written back-ends for Linux. So it just translates the Windows calls (DX9, DX11, etc) into Linux-compatible calls. It's actually pretty damn fast. If you can get it to work with your particular game.